The ideas and institutions of modern constitutionalism have spread globally. 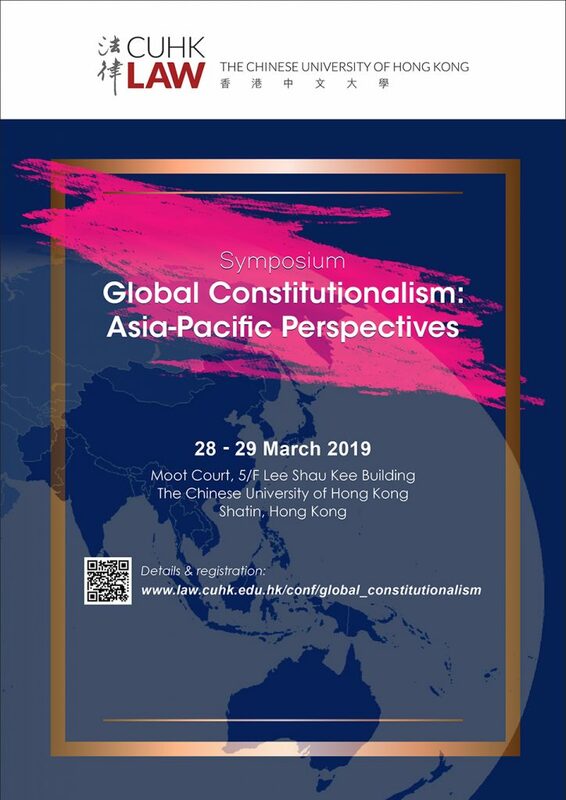 This symposium investigates this aspect of global constitutionalism with a focus on the Asia-Pacific region. The symposium seeks to explore and explain how jurisdictions in the region respond to global constitutionalism, and why they respond in a certain way. The symposium discusses these issues of global constitutionalism: (1) substances (constituent power, separation of powers, constitutional review, and human rights); (2) mechanisms (external assistance to national constitutional design, foreign judges in domestic courts, foreign legal education, and transnational networks); (3) forms (discussions among constitutional intellectuals, provisions and statements in constitutional texts, and constitutional adjudications); and (4) factors (national identity, economic development, the global economic power, and military allies). Case-studies include mainland China, Hong Kong, Taiwan, Japan, South Korea, Vietnam, Indonesia, India, Sri Lanka, and selected jurisdictions in the Pacific Islands. All are welcome and early registration is encouraged.